In less than fifty years, South Korea went from being one of the world’s poorest countries to one of its richest. 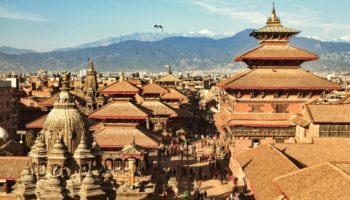 Its thriving cities highlight this change as ancient palaces, and traditional temples lie next to gleaming shopping malls and futuristic buildings. Despite bordering two larger, more powerful nations for much of its history (Japan and China), the country has managed to preserve its unique culture; many of its museums showcase South Korea’s fascinating history, art, and local traditions. A beautiful country to visit, many of South Korea’s cities are located amongst scenic mountains or next to idyllic islands and beautiful beaches. 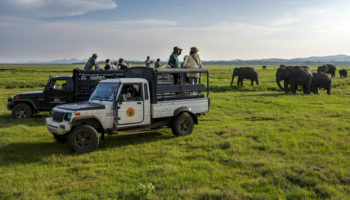 Hiking and immersing yourself in nature is almost a national pastime such is its popularity. Now known just as much for its delicious food and K-pop as for its impressive historical sights, South Korea and its fun and friendly cities are sure to delight with all they have to offer. A very welcoming and friendly place, Andong is renowned for its delicious cuisine, so foodies will rejoice at all the local delicacies on offer. Founded over 2000 years ago, Andong boasts many historical and cultural attractions and often markets itself as a spiritual center due to its many temples and local religious sites. 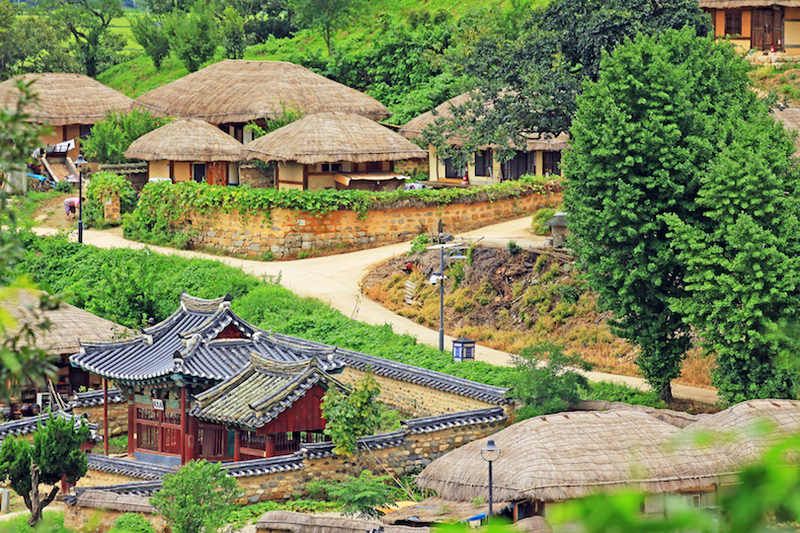 One of the most interesting places to visit is the Andong Hahoe Folk Village, where you can learn all about the local traditions, culture, and history. Surrounded by sea on three sides, Tongyeong is located right on the southern tip of a peninsula. Most visitors to the city use it as a gateway from which to explore any of the 151 nearby islands. A sleepy, laidback place, Tongyeong’s harbor is beautiful to behold. Walking along the harbor front or eating a delicious seafood dinner while watching the sunset is a unique experience. Although there is not much going on in town, the city more than makes up for it with the wealth of beautiful islands nearby. Nature lovers will revel in visiting the spectacular Hallyeohaesang National Park. Having expanded rapidly over the last few decades, Daejeon is now one of the largest cities in South Korea and is a significant science and research center, thanks in part to the large Expo Park complex. 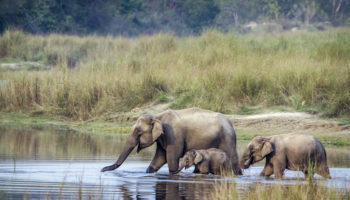 While not particularly pretty to behold due to its urban sprawl, the city is, however, home to lots of interesting museums, with the National Science Museum’s fantastic exhibits making it one of the best on offer. No visit to Daejeon is complete without a stop at the Yuseong Hot Springs; bathing in the thermal waters is the perfect way to end a day after taking in the city’s sights. Due to its proximity to Seoul, Suwon is a fantastic day trip option from the capital, although it often gets overlooked by travelers. Now a major center for industry, the city is home to Samsung Electronics. Its busy streets are packed with bars, restaurants, and shops, while Ingyedong is the place to head if you’re after some fun nightlife. 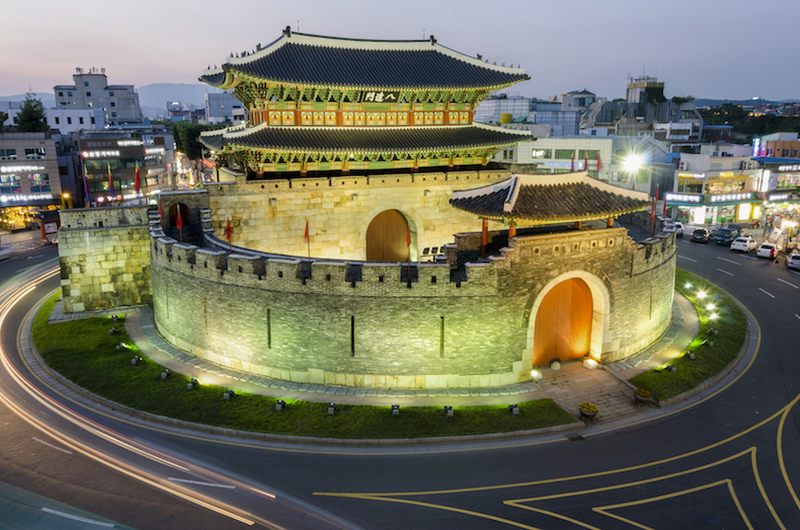 The main reason that people visit Suwon is for the stunning 18th-century fortress of Hwaseong that lies at the heart of the city; its twisting walls and looming towers are lovely to explore. Lying on a peninsula of the same name in the south of the country, Yeosu is one of the most beautiful port cities in South Korea and an increasingly popular beachside resort. Lined by mountains, Yeosu is surrounded by islands and cliffs that look spectacular. One of the best views is from Hyangiram Hermitage – a beautiful cliffside hermitage. While Yeosu is not big on sights, its lively waterfront is home to lots of brilliant seafood restaurants. Just relaxing on the beach and taking in the view is what most people want from a visit to the city. More of an island than a city, Geoje has nicknamed itself the ‘Blue City.’ It is surrounded by sparkling clear waters, a gorgeous rocky coastline, and lots of beautiful beaches. While its scenic charm is what most people come for, Geoje has lots of interesting tourist sites to offer, such as a stunning 15th-century castle and a POW Camp, which used to host North Korean prisoners. Although the city has more than enough restaurants and bars to keep you occupied, the spectacular scenery is what really steals the show. A boat trip to the breathtaking islands of Haegeumgang and Odeo is a must. 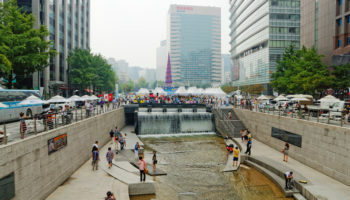 Home to a sizeable student population, Daegu has a youthful feel to it and is surprisingly friendly and welcoming, considering that it is the fourth largest city in the country. Wandering around its lively downtown is a pleasant way to spend an afternoon. 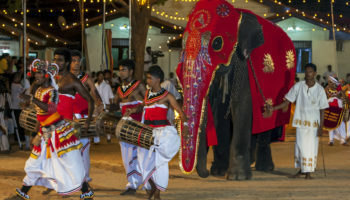 Its fantastic art museums lie side-by-side with beautiful old churches and temples, while its food and nightlife scenes are thriving. 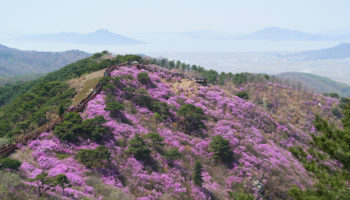 Many people use Daegu as a gateway to the region, and the nearby Palgong Mountain is well worth a visit. 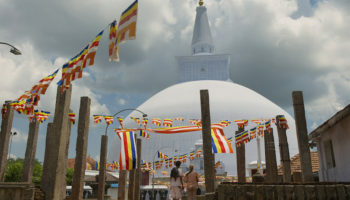 It is home to loads of scenic trails as well as numerous temples and Gatbawi – a magnificent stone statue of Buddha. Boasting more than 2000 years of history, Gyeongju is fittingly known as ‘the museum without walls’ thanks to its endless array of tombs, temples and archaeological sites. 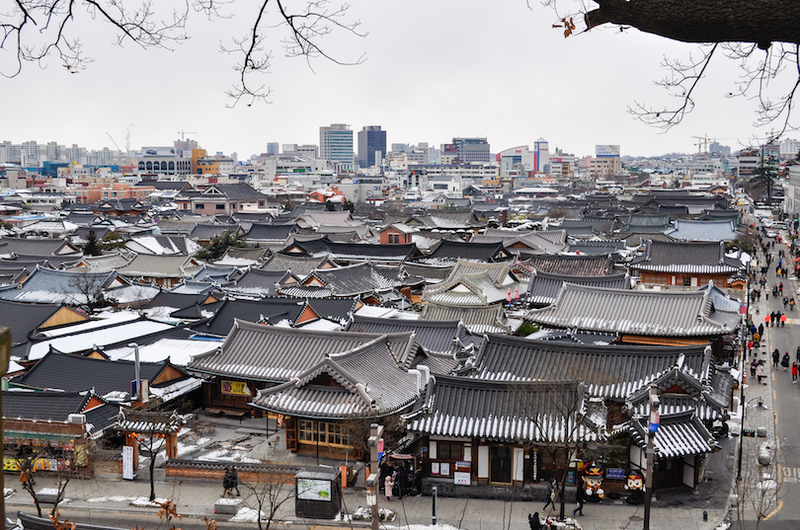 Many of them date back to when the city was capital of the Silla Kingdom. A captivating place to explore, the center of town is full of old tombs, beautiful pagodas, and traditional houses. The Gyeongju National Museum houses a wonderful collection of local artifacts. Two must-see sights are the stunning Bulguksa Temple, dating back to the eighth century, and the nearby Seokguram Grotto – both of which delightfully show off some rich Buddhist art and highlight how the religion impacted the area. 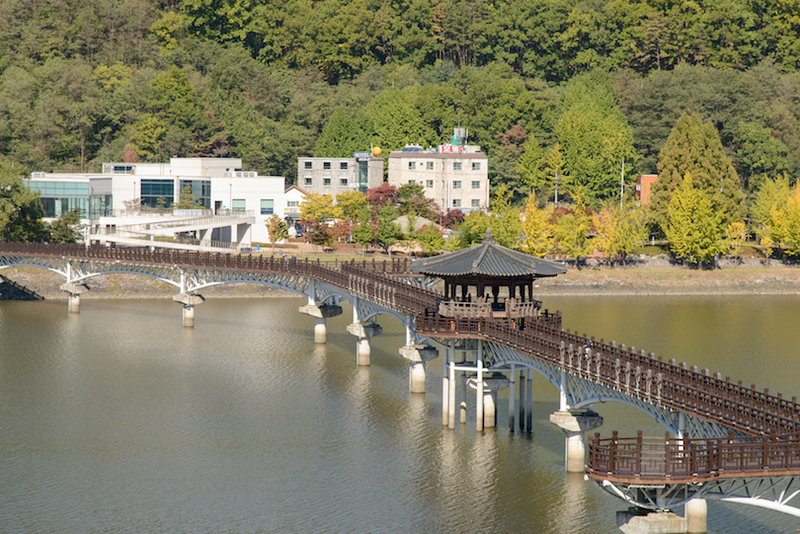 Once the spiritual capital of the country, Jeonju is full of historical sites and cultural landmarks. It is also home to one of the nation’s most popular tourist attractions in the shape of Hanok Village, which showcases traditional houses, local cultural practices, and artisanal products from around the region. With lots of beautiful temples to marvel at, Jeonju is fascinating to walk around; its winding alleys are home to atmospheric cafes and restaurants, and no visit to Jeonju is complete without trying bibimbap – a local delicacy. Before leaving, make sure to visit the excellent Jeonju National Museum, which protects, preserves and promotes the rich local history and culture. 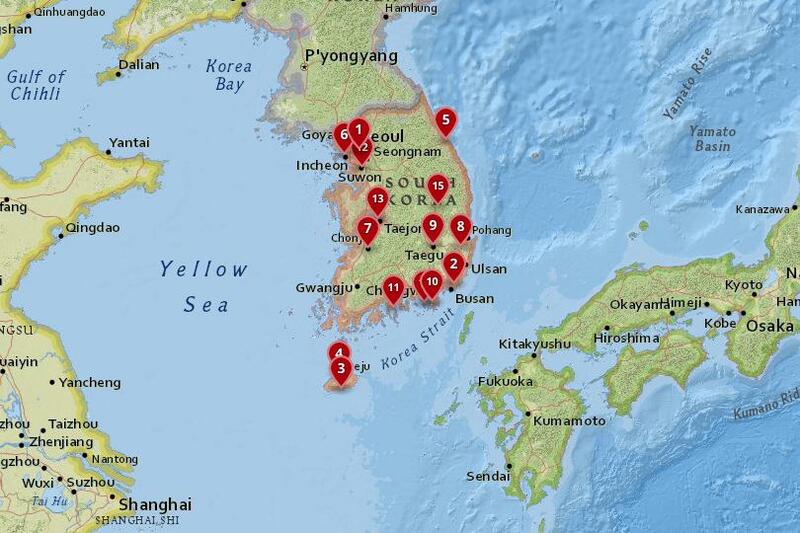 The third largest city in the country, Incheon lies just under 40 kilometers from Seoul. It was at the huge port here that American soldiers landed in 1950 during the Korean War to recapture South Korea’s capital. An important city to the nation in both historical and economic terms, Incheon is expanding rapidly and has loads for visitors to see and do. 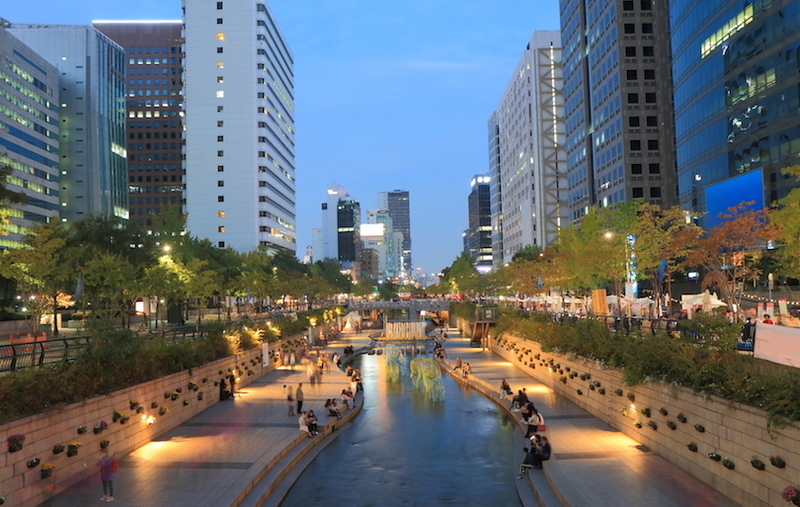 Its bustling Chinatown and maze of shops, restaurants, and bars in Bupyeong are just two of the highlights. With the oldest temple in the country – Jeondeungsa – for you to enjoy, alongside lots of lovely old architecture and some delightful waterfront promenades, Incheon is a great option if you’re looking for a comfortable and accessible day trip from Seoul. Lying on the East coast, Gangneung is the perfect place to head if you’re looking to step off the beaten path and get to know one of the country’s lesser-known cities. Separated from the rest of South Korea by the Taebaek mountain range bordering it, Gangneung has its own distinctive culture and feel about it, as is evidenced by the delicious local cuisine and cultural events – such as the fascinating Danoje folk festival. With centuries-old temples for you to visit, alongside the impressive Ojukheon Museum – home to shrines, traditional buildings and memorabilia from famous Koreans – Gangneung also has some lovely nature on offer; one of the nation’s most popular beaches can be found at Gyeongpo. The largest city on the island of the same name, Jeju’s warm, welcoming climate makes it a popular tourist destination. 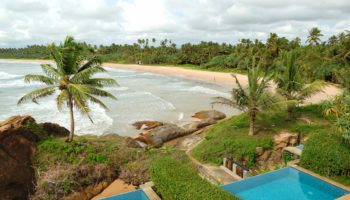 Many people head here during the summer to enjoy the fancy hotels, teeming casinos, and trendy bars. Although most of the main attractions are found out of town, Jeju City is a pleasant place to visit, with lots of fantastic restaurants, upmarket boutiques and accommodation options on offer. Many people use it as a base from which to explore the rest of the island. 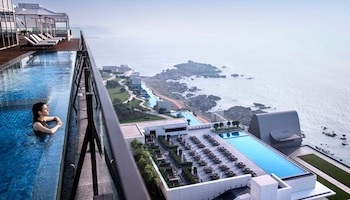 A visit to the nearby Jeju Loveland – an adults-only theme park – will certainly highlight why the island is a popular honeymoon destination. 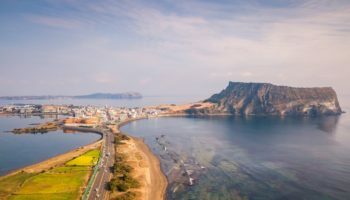 Located on Jeju Island, Seogwipo is surrounded by some beautiful scenery, including a spectacular rocky coastline, plunging waterfalls, and beautiful beaches. Consequently, most visitors to the city come primarily for its natural sights; it also boasts the best scuba-diving in the whole country. With lots of great paths and trails snaking their way to the waterfalls and along the coastline, it is also a popular hiking destination. While the city itself doesn’t have that much going for it, the lovely scenery more than makes up for it. If you are at a loose end, the fun water park and immersive submarine tours are well worth checking out when in town. The second largest city in South Korea, Busan is home to a bustling port and is a popular tourist destination, thanks to its beautiful scenery made up of forest-coated mountains and gorgeous beaches. 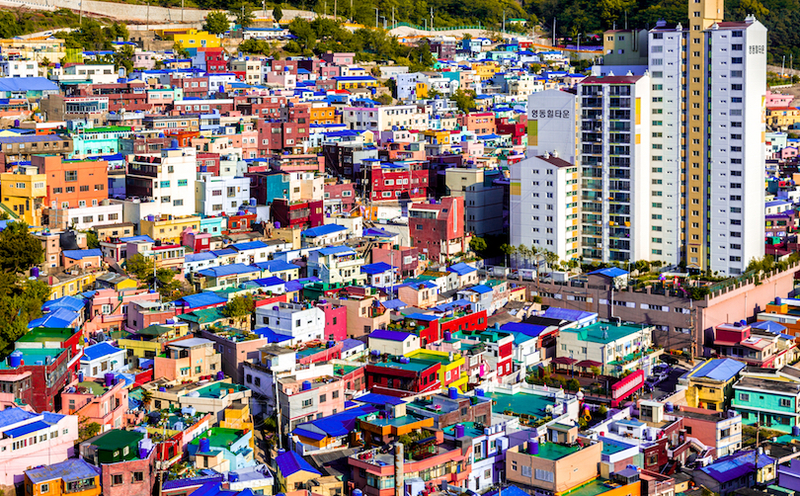 With many different sides to it, Busan is home to both a gritty industrial area and the hillside Gamcheon Cultural Village, full of brightly-colored houses offering delightful views over the city. While most people come for its beaches, Busan has many interesting historical sites scattered around town: there’s the popular Beomeosa Temple with its numerous hot springs, fantastic seafood restaurants, and wealth of outdoor activities. A sprawling metropolis that encompasses over 25 million people, South Korea’s capital has everything imaginable on offer. 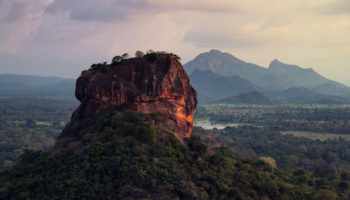 It is an enthralling place to explore, with centuries-old palaces and temples rubbing shoulders with gleaming shopping malls and bustling night markets. With something for everyone to enjoy, you can be marveling at the intricate architecture of the 15th century Chandeok-gung palace one minute, be hiking in the nearby mountains and numerous parks the next, before later visiting one of the city’s fabulous museums. Renowned for its excellent cuisine, Seoul has loads of great restaurants and street stalls dotted around. The city is continually pushing the boundaries of what is possible – whether that is in fashion and design or architecture and technology. 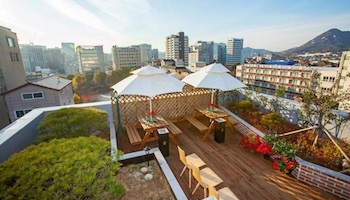 As such, there is always something new to see and do in Seoul.